Brighton duo The Perfect English Weather return with the new 4-track ‘English Winter’ EP which marks an intriguing departure from last year’s much loved debut album ‘Isobar Blues’. The release sees the duo—Simon and Wendy Pickles—drawing further distinction from their other band The Popguns and taking cues from sophisticated electronica such as St. Etienne while maintaining the strong vocals and impeccable melodies from previous releases. Lead track ‘Still’ is an emotional, hypnotic slow-burner on the theme of separation and features a collaboration with former Popguns drummer Shaun Charman who is now also part of indie buzzband Jetstream Pony. This is a by-product of some rehearsals that Simon and Shaun did for a Fireworks gig back in 2016 where Simon stepped in on second guitar. Shaun plays the guitar hook on the track along with some live drums, while Simon and Wendy’s daughter, Anna, sings backing vocal to give the track some sublime moments between the two singers. Being a seasonal release, the EP has to include a holiday song and ‘Christmas In Suburbia’ delivers that in spades. A very, very pretty tune with some affectionate, wry observations on the season, the song references Christmas lights, snow, Prosecco, and Barbie in a Tonka truck! ‘Cold Out’ is a moody, kinda sleepy one about staying in bed and definitely not going out, with the production moving in a distinctly electronic direction. The song references a meeting between Morrissey and Wendy back in 1984 (“it was so surprising when you knew my name”), and curiously Morrissey is also singing about spending the day in bed on his latest release. The EP concludes with a cover version of the Go-Betweens classic ‘Dusty In Here’. A longtime favourite of the band, this bare and almost ghostly rendition has just Wendy and her acoustic guitar plus Anna again on backing vocals. This is a track that Wendy and Anna performed at the Grant McLennan tribute gig in London back in 2015 and is the perfect closer to the EP. 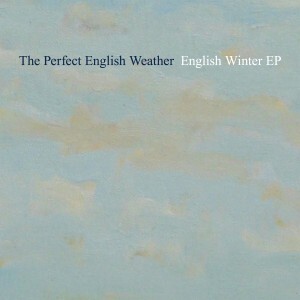 Limited to 1000 copies in a handsome eco-wallet, ‘English Winter’ is an impressive second release for The Perfect English Weather and another gem for the Matinée discography.